This project consists of a three-story building with a full lower level brewery, large refrigerated beer storage, banquet hall, kitchen, dining, deck and outdoor service area. RAMAKER worked with the owner to create a unique old factory experience within a new facility. With the exposed steel and wood structure, the different materials used throughout the facility, the use of beer barrel staves for the guard rails and the two-story view of the brewery equipment, it truly provides an amazing experience to all who enter. The views from the dining, bar and banquet areas overlook the beautiful Wisconsin River. The banquet hall accommodates 250 people while the outdoor wood framed deck area can accommodate 220 people. The structural design included building into the side of a hill, the use of precast plank for the first floor over the main brewery, and exposed wood trusses for the second floor and the roof structure. Wood shear walls were used around the perimeter while steel moment frames were used to provide a open floor plan. RAMAKER performed design services for this project. We followed corporate standards and modified the design to fit the client's site. After the design phase of the project, RAMAKER also oversaw construction. The Existing Green Mill was reduced in size and relocated into the dining room and fireplace area and the bar area was moved into the exiting Teddy Room, Deck. It has approximately 165 seats indoors and a large exterior patio with fire feature that can be utilized for up to 3 seasons. 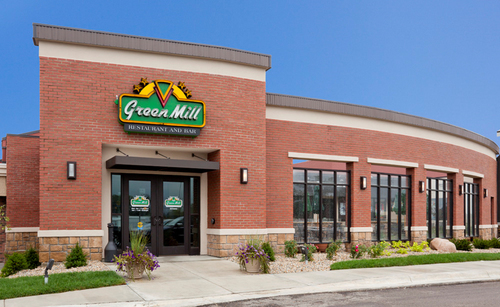 The renovation of an existing closed restaurant into a Green Mill Restaurant added greatly to the re-branding of an existing hotel into the newly renovated Best Western Select hotel. The dining room and bar areas were totally rebuilt to accommodate 152 seats plus an additional 29 bar seats. A new covered patio with a large fireplace adds an additional 70 three-season seats outdoors. An updated kitchen provides the restaurant menu as well as servicing remodeled banquet facilities and the yearly Oktoberfest celebration. A new restaurant, called Ruff's Wings & Sports Bar, was added in the existing Green Mill bar area, part of the old dining room/fireplace room, kitchen, catering office and existing corridor. Ruff's has approximately 150 indoor seats. A bar area was added to the patio, and the layout revised to work with a new automatic sliding door that connects the patio to the restaurant. The plans were revised to remove the upper bar liquor storage and refinish the existing bar top. A new flip top pass-through area was added at the bar, and TV locations and sizes were coordinated throughout the restaurant and patio. New windows were added into the vestibule area, and the storage and beer cooler areas rearranged. O’Neil’s wanted to demolish a portion of the building on the south side of the main bar and restaurant and build a new addition to the west of the existing bar building. The location between the two existing buildings was built up and redesigned and landscaped as an outdoor patio/gathering space. The middle portion of the building on the south of the lot was converted into a gathering hall. This project was for the design of a new restaurant attached to the existing Sheep Shedde Hotel. The restaurant encloses approximately 8,512 square feet. Max’s Grill offers a casual, friendly atmosphere with a unique menu and a wide variety of food including specialty pizzas and kids meals. Max’s has a full service bar complete with pool tables, touch tunes juke box, and your favorite sporting event on one of our seven TV’s. 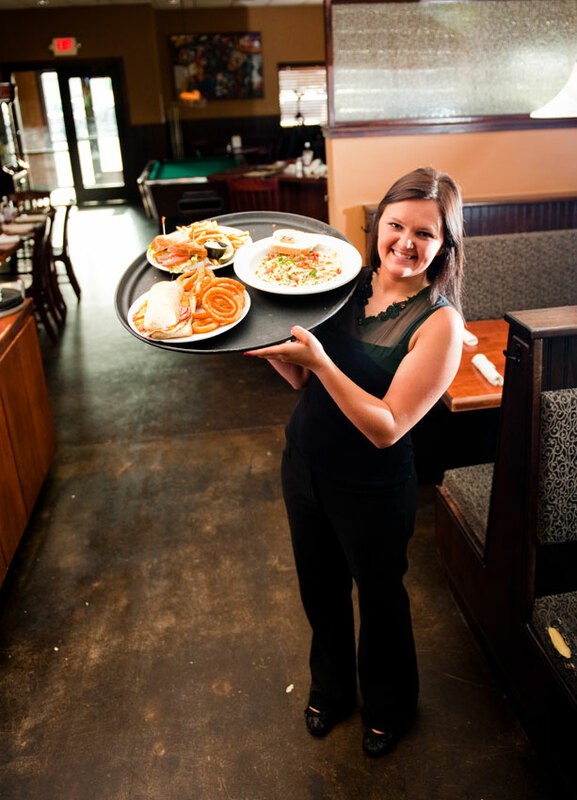 Max’s Grill also has Banquet, Events and Meeting facilities for up to 250 people. There are three separate rooms that have the ability to seat 15-250 people.